For more details, please visit our website: http://www.nexusrobot.com/product.php?id_product=89. This is a 3 omni wheels drive mini mobile robot kit. It capable of moving in any direction by changing the velocity and direction of each wheel without changing its orientation.It includes microcontroller,IO expansion board,DC motor with encoder, ultrasonic sensors.With pre-drilled screw holes it can be easily extended. 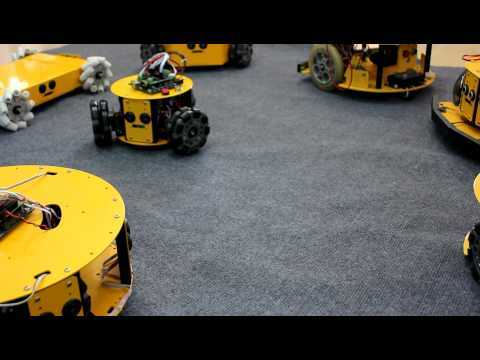 The 3WD 100mm Omni Wheel Mini Mobile Robot Kit is very appropriate to use in educational institutions.